These overnight breakfast casserole recipes for a weekend or holiday breakfast or brunch when you want a special meal that just needs to be baked. Breakfast, or even better brunch, is one of my favorite meals. However, I also love my sleep. That’s why I love overnight breakfast casseroles. You put the casserole together the night before, cover and stick in the fridge, then pop them into a preheated oven for a delicious meal to start your day. 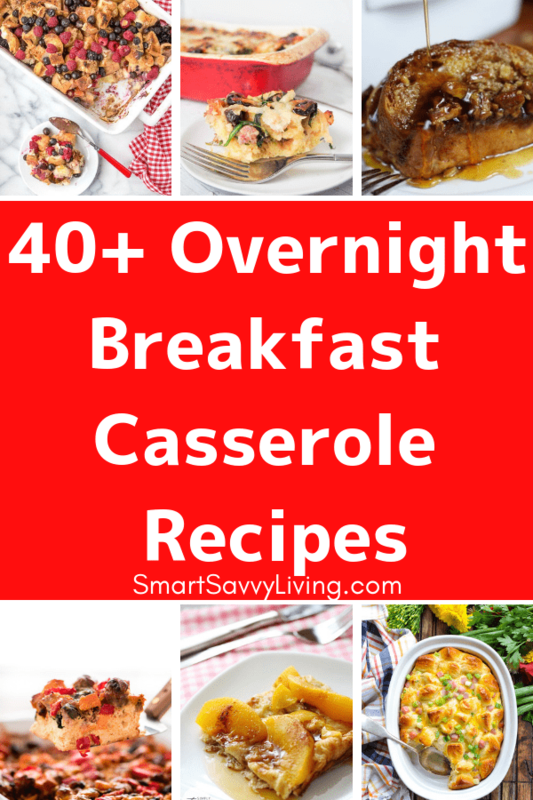 Here are some of my favorite overnight breakfast casseroles. I especially love serving one savory and one sweet. 1. Apple-Pumpkin Waffle Bake – This one is full of my favorite fall flavors. Love that it’s super easy with frozen waffles. 2. Overnight Apple French Toast Casserole – French toast – yum check. Add in apples? Double yum check! 3. Overnight Sweet Potato And Sausage Breakfast Casserole – I never thought of adding sweet potatoes to a breakfast casserole. This one sounds (and looks) differently delicious. 4. 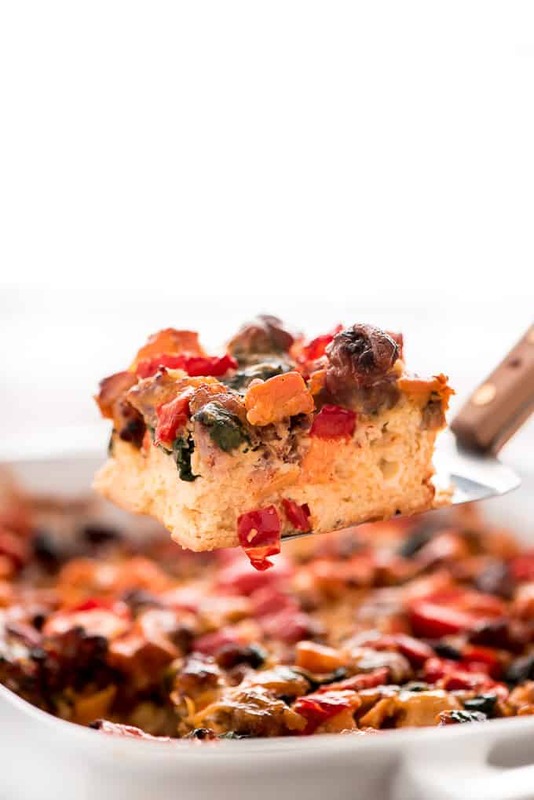 All In One Breakfast Casserole Recipe – Love that this one is full of protein for when you want a nice filling breakfast for a busy day. 5. 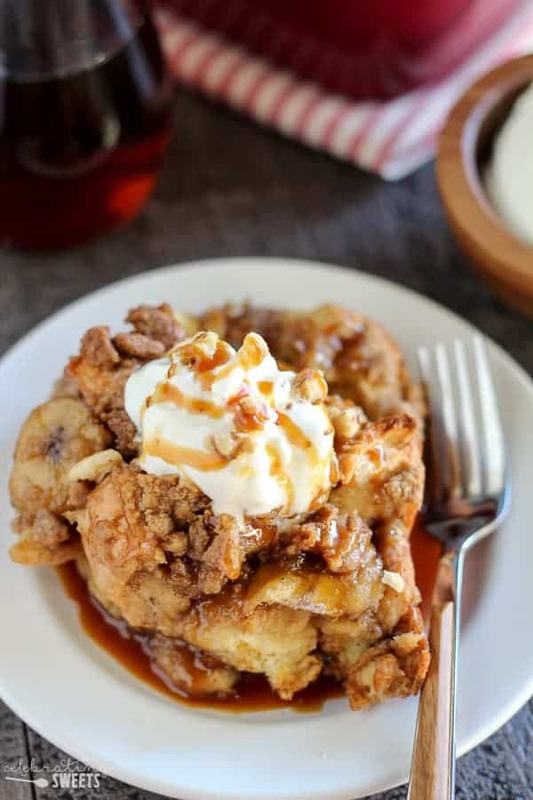 Caramel Apple French Toast Bake Recipe – This overnight breakfast casserole recipe just looks ooey gooey awesomely delicious. 6. Crockpot Breakfast Casserole (gluten-free, low carb, keto) – So smart to make a breakfast casserole in the slow cooker so you wake up to a hot ready to eat breakfast. 7. Overnight Holiday Breakfast Casserole (Gluten-Free) – A great option for a breakfast casserole for those that need to stay gluten-free. 8. Loaded Veggie and Cheese Overnight Egg Bake – So many breakfast casseroles are full of meat and cheese. I like that this one has lots of veggies, too! 9. 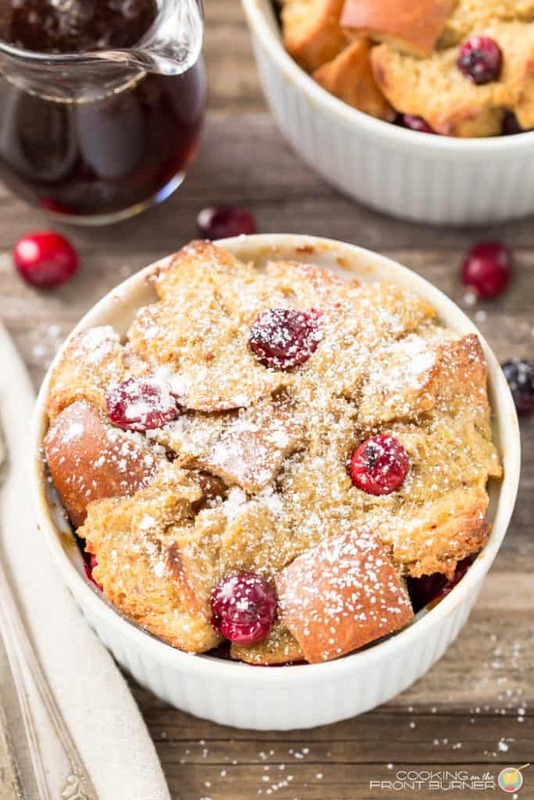 Overnight Eggnog French Toast – I’m definitely saving some eggnog to give this a try. 10. Cinnamon Roll Breakfast Lasagna – Oh my – my sweet tooth is telling me I need to make this sweet breakfast casserole NOW! 11. Pumpkin French Toast Casserole – This breakfast french toast casserole is perfect for all the pumpkin spice lovers. 12. 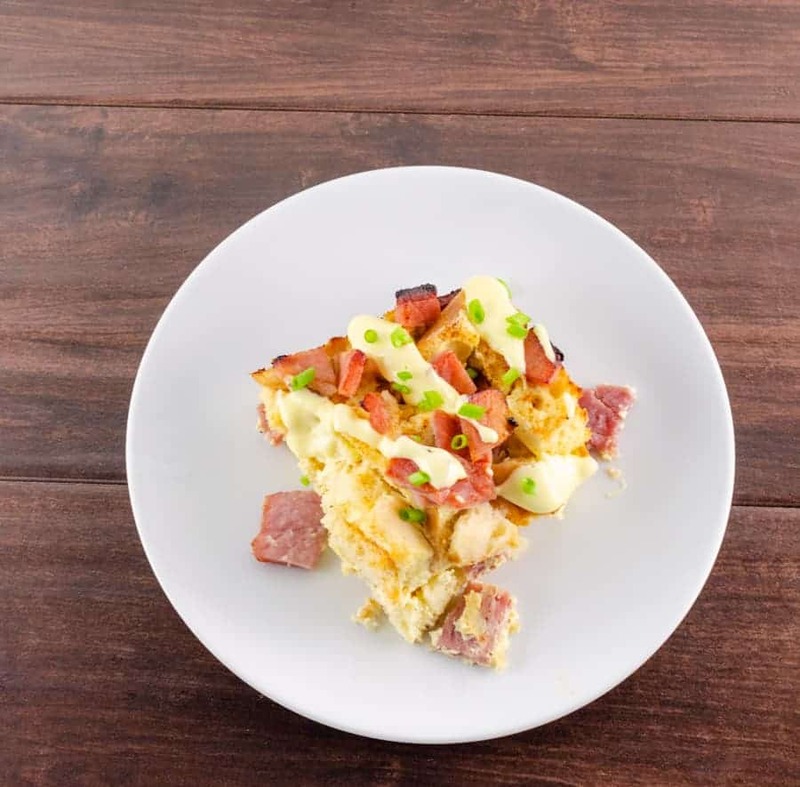 Overnight Eggs Benedict Casserole Recipe – My recipe for overnight eggs benedict casserole is an easy way to make eggs benedict for a crowd. It’s my favorite way to use leftover ham, too. 13. Overnight French Toast Casserole – This french toast casserole has a special secret ingredient to really pump up the flavor. 14. 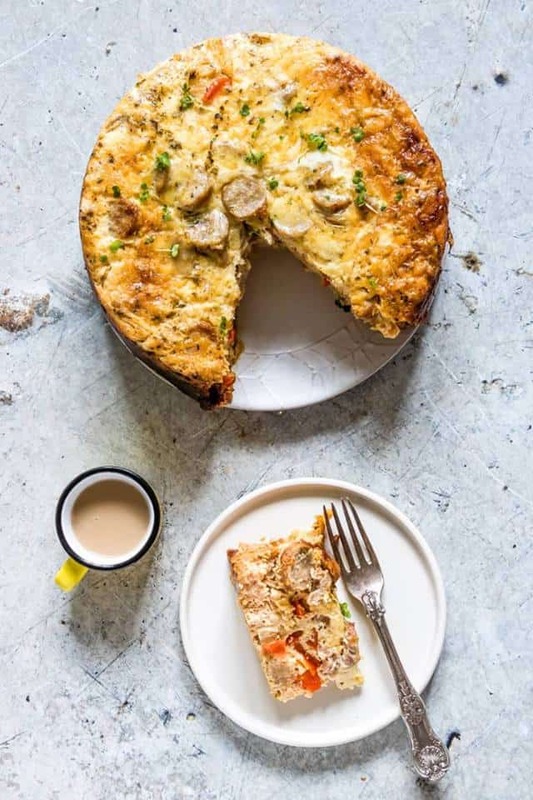 Healthy Low Carb Breakfast Casserole with Sausage and Cheese – If you’re all about the meats and want gluten-free this hearty breakfast casserole is for you. 15. 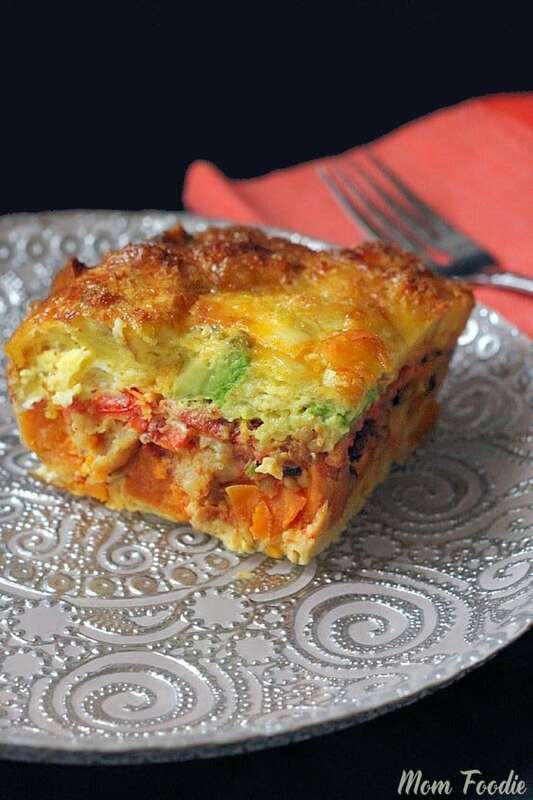 Overnight Breakfast Casserole Recipe – With avocado and roasted tomatoes this isn’t your average breakfast casserole. It sounds so good! 16. Croissant Baked French Toast with Cinnamon Apples – Anything that starts with croissants has to be good. 17. 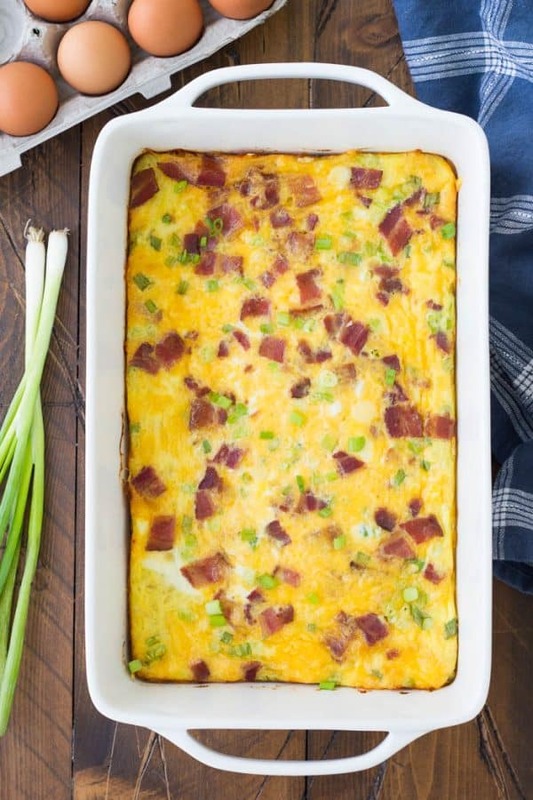 Low Carb Breakfast Casserole with Bacon to Make Ahead – Lots of bacon and cheese? Yes, please! 18. Overnight French Toast Casserole in Red, White, & Blue – French toast with berries is one of my most favorite combinations ever. 19. 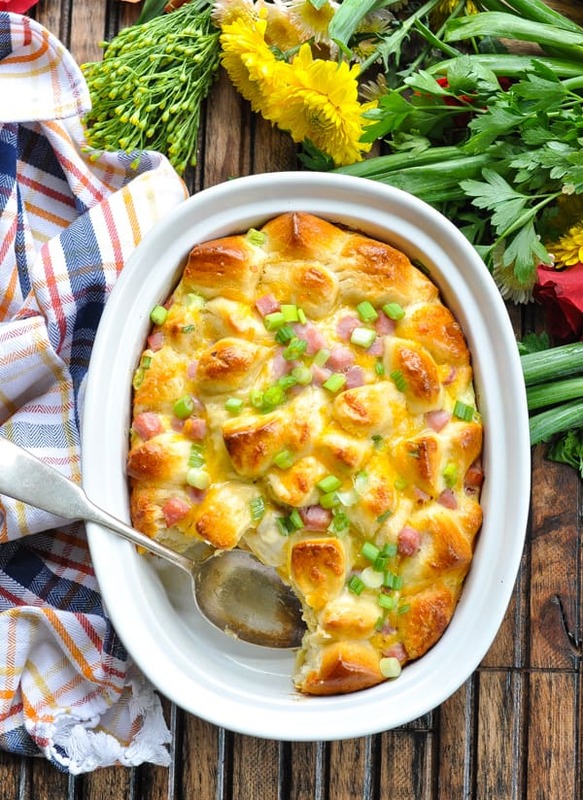 Pierogi Breakfast Casserole – Such a creative idea to use pierogis. I’m going to have to give this a try. 20. Slow Cooker Overnight Breakfast Casserole – This one includes the classic flavors of sausage, eggs, cheese, and potatoes. Yum! 21. Easy Breakfast Casserole with Hash Browns – Classic deliciousness. 22. Caramelized Onion and Spinach Egg Casserole – I love adding spinach to eggs. 23. Make-Ahead Savory Bread Pudding Breakfast – For those times when you don’t want something a little sweet. 24. 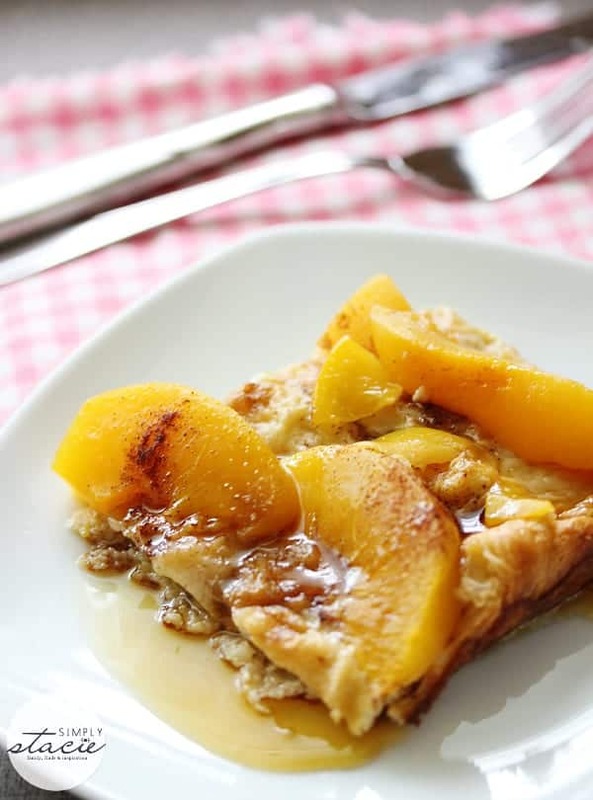 Wife Saver Breakfast – Or at least lifesaving with its peachy goodness. 25. Chocolate Croissant Bread Pudding – Yep, this one had me at chocolate. 26. Cheese, Bacon, and Potato Breakfast Casserole Recipe – All of my favorite breakfast flavors together in one easy dish. 27. Overnight Breakfast Bake – This looks so good. I love that it uses ingredients different from the norm. 28. Easy Pumpkin French Toast Bake with Streusel Topping – Love that this one has streusel. 29. 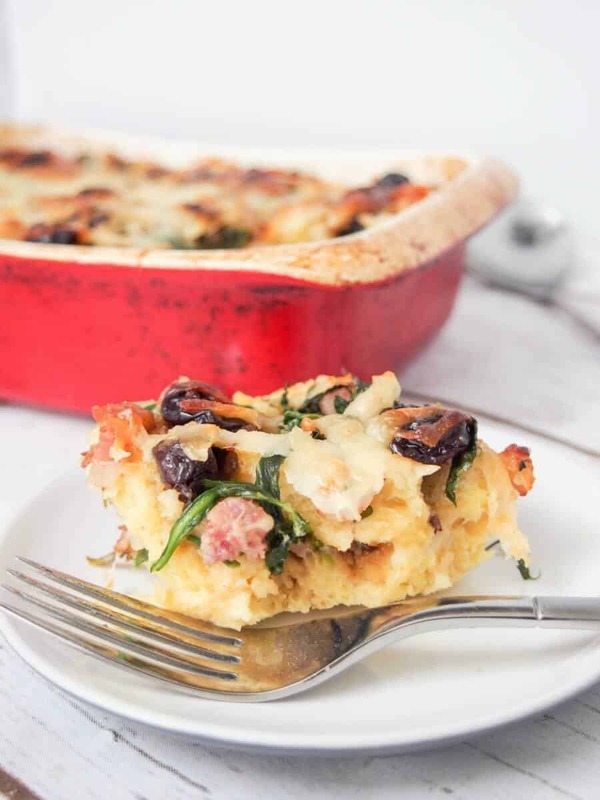 Kale and Stuffing Strata – An excuse to eat stuffing for breakfast? Yes, please! 30. Brown Sugar Banana French Toast Casserole – I’m going back for seconds with this one. 31. Overnight Smoky Zucchini Breakfast Casserole – Sounds like great way to use up all those zucchinis. 32. Cheesy Vegetarian Overnight Breakfast Casserole – Breakfast doesn’t always have to be full of meat. 33. 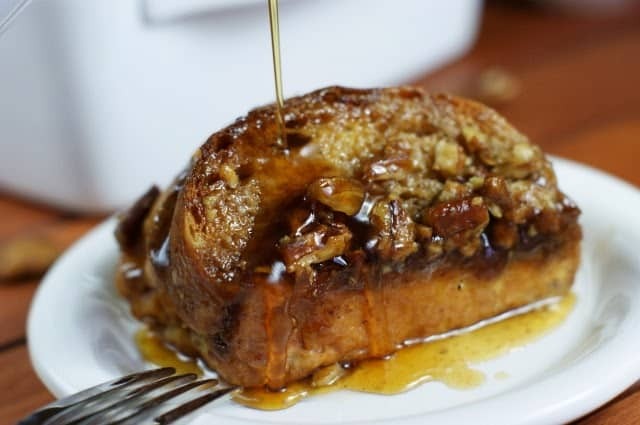 Overnight Praline French Toast – Sweet, crunchy goodness. 34. Stuffed Overnight French Toast Casserole – The peanut butter cream cheese filling sounds divine! 35. Overnight Cheesy Broccoli Strata – Another tasty vegetarian option. 36. 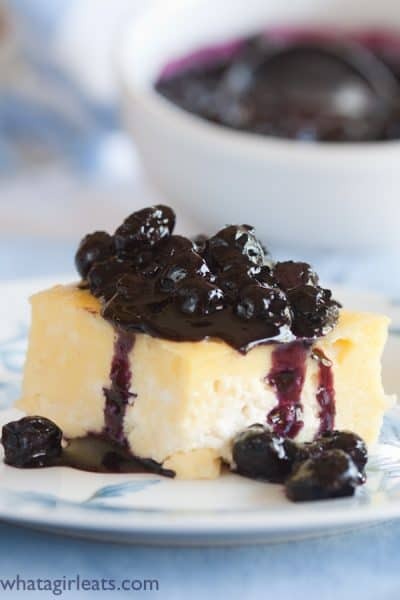 Blintz Souffle with Blueberry Sauce – This looks so light and creamy. 37. Sausage and Egg Breakfast Casserole – So smart to use croutons saving time and prep. 38. Apple Cinnamon Upside Down French Toast – This looks like a tasty way to change up french toast. 39. Overnight Ham, Egg, and Cheese Monkey Bread – Monkey bread is one of my favorite things ever – and nope, it doesn’t always have to be sweet! 40. 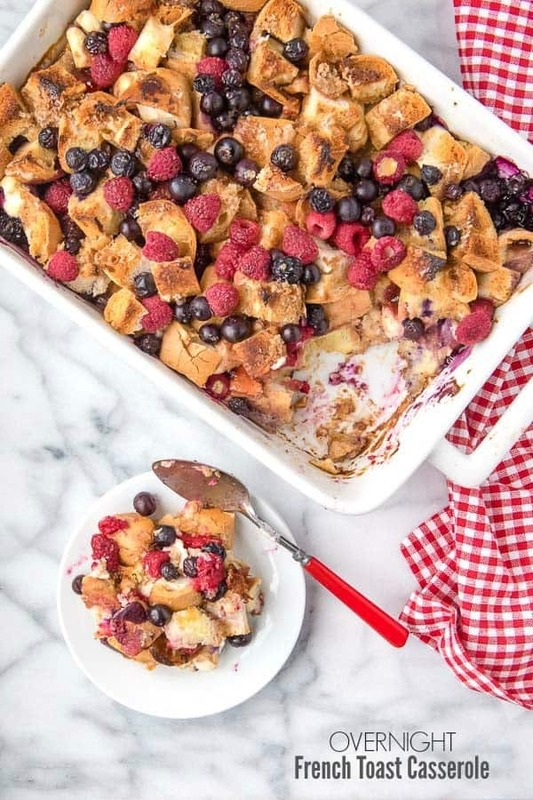 Berry French Toast Casserole – So many layers of goodness to this french toast casserole. 41. Gluten-Free (with Dairy-Free Option) Eggs Benedict Casserole – Eggs benedict can still be delicious if you can’t eat gluten or dairy. Such delicious breakfast casseroles here! Thanks for including mine! I love a good breakfast casserole. What a tasty selection of recipes – thanks for including mine!